Dr Sharmina Mawani explains how a learning record sheet tackled issues raised by a cohort with very diverse prior learning. 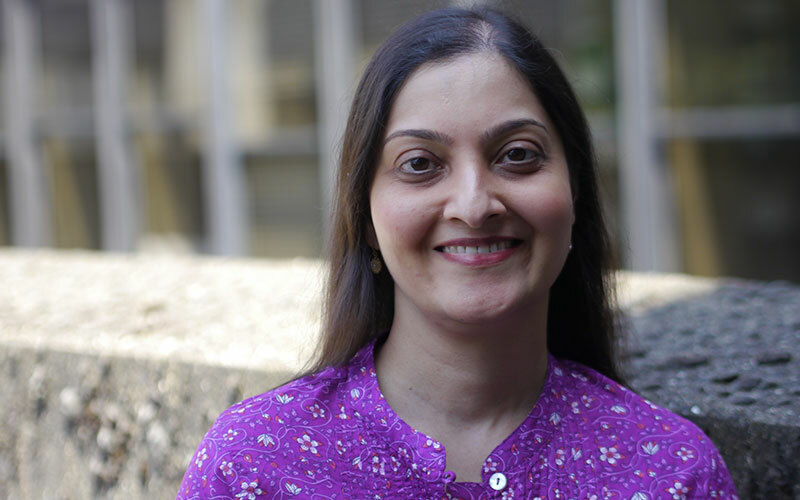 To support the teaching of an international cohort with diverse educational backgrounds, Dr Sharmina Mawani, from The Institute of Ismaili Studies (IIS), introduced an online Learning Record Sheet (LRS) for completion by students following their weekly lecture. The LRS makes students more aware of their progress in the module, based on the specific criteria that they set for themselves, so their learning becomes a very personal endeavour. This is the first time an online task of this nature had been introduced to the MA on the Secondary Teacher Education Programme. The Secondary Teacher Educator Programme (STEP) is a joint programme from the UCL Institute of Education and The Institute of Ismaili Studies (IIS). Dr Mawani teaches the first year Muslim History and Secondary Education (MHSE) module. Students on the programme come from around the world, with different levels of prior knowledge, and many have encountered Muslim history in their own home contexts. She noted that students were responding to sessions very differently – for example, when learning about the life of the Prophet, some students would say, “I already knew that” or “I didn’t learn anything new” while others wanted to know more. To address this range of responses, Dr Mawani encouraged the students to take responsibility for their own learning. She introduced the Learning Record Sheet (LRS), a personal record where students record, structure, reflect on and develop their own learning. The document is unique to each student and cannot be ‘right’ or ‘wrong’. One of the most important things it contains are students’ reflections about how what they have learned is relevant to them and how they will develop or use the new information in the future. Students are expected to document their week’s key learning points, areas for development, action points and progress notes on their LRS soon after each session. It is a live document and as the completion of the LRS is on-going, there is no submission deadline, but it is expected that the LRS is fully completed by the end of the term. To make this a formative assessment, Dr Mawani wanted to assess and comment on the progress of the students. However, traditional submission methods did not seem to allow for this assignment to be an on-going reflective exercise. In order to be able to access their reflections, she opted for an online reflective journal, which students would share with her on Google Drive. She provides feedback on the LRS at least two times in the term. The feedback includes asking questions to prompt students to reflect further and provide more clarity in their LRS. It encourages students to reflect on the significant learning points after each session, when the knowledge and discussion are still fresh in their minds. It prompts them to think about areas that they need to develop further – about what piqued their interest and what they will do to advance their knowledge. It provides these trainee teachers with an opportunity to think about how they can connect what they are learning to their teaching practice. As students set their own parameters of success, they are self-directing their learning and enhancing areas that are of interest to them, which makes learning that much more meaningful." 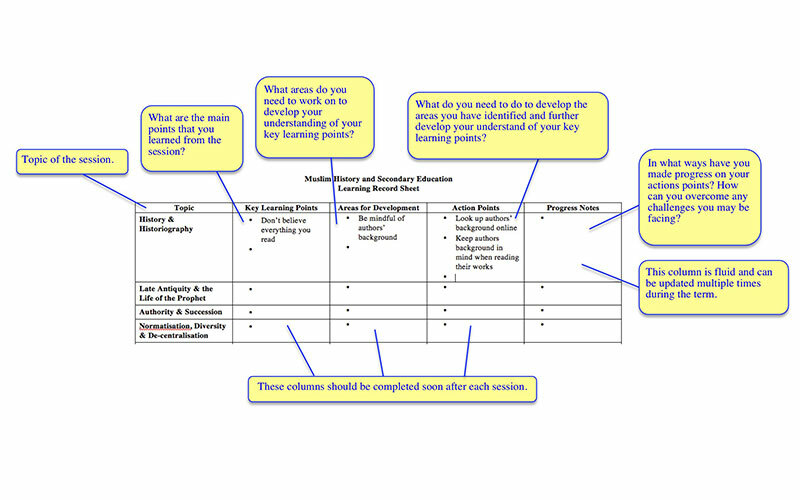 "The Learning Record Sheet (LRS) helped me to reflect upon my learning, to articulate concise learning targets, and to develop a plan of action to achieve the targets. While undertaking this task, I identified gaps in my learning that I was able to address with the help of continuous feedback. This process was also beneficial in applying learning to my teaching practice." "The document itself became a space for me to brainstorm ideas for future ventures, as well as a resource bank for my completed projects. Many of my action points manifested into actual projects that I continued to work on beyond the term." The Progress Notes column has been replaced with Connections to Teaching Practice – this is essential as they are training to be teachers and need to be able to translate what they learn in the MA in the classes that they teach. To avoid students copying and pasting their class notes as key learning points, they are expected to provide no more than 3 key learning points. What areas have you already developed and what were the benefits of this? What has changed in your teaching approach? What will you be taking forward from this module to help you develop your knowledge and teaching further? Familiarise yourself with Google Drive (creating and sharing documents; providing online feedback). Sometimes students are eager to continue discussions (even after the seminar time) to ensure they are equipped with enough information to complete their LRS so ensure you factor in time for this. On-going information on student progress means the LRS is a great way to identify students who may need additional support so use this opportunity. As there is no specific deadline (though the LRS should be completed on a weekly basis), some students need to be reminded to keep their LRS updated, so they don’t fall behind. Think of ways to remind them.